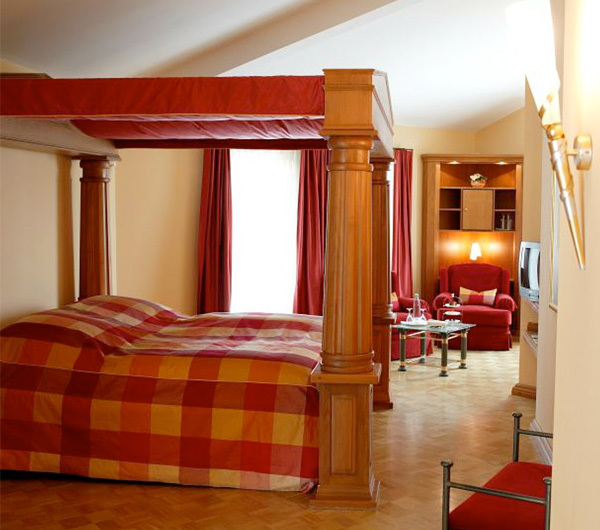 There are six romantic double rooms within the historic castle walls. 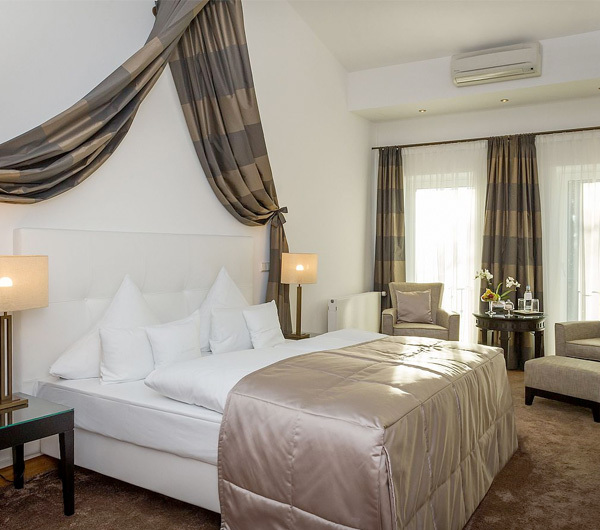 The rooms are all individually styled and perfect for guests seeking a little calm and relaxation in the Rhine area. They all have flat-screen television, high-speed wireless Internet access and safe. Immerse yourself in the unique atmosphere of our romantic castle rooms which have been designed right down to the last detail. They are a dream of made-to-measure cherry wood-coloured furniture, stylish accessories and romantic four-poster beds. Experience our very own style which envelops our guests with the feeling of well-being and contentment. 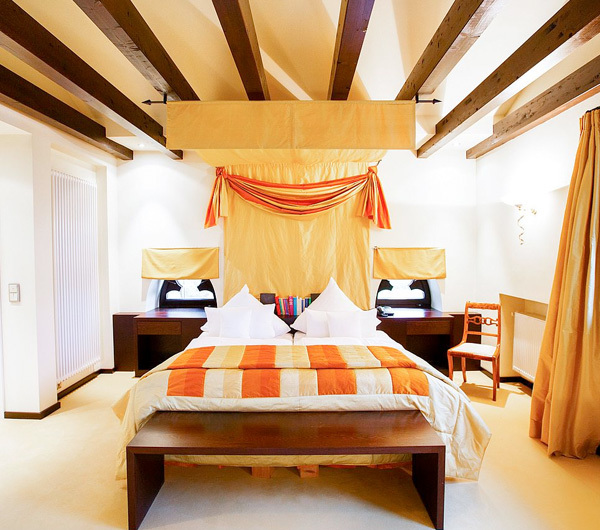 Our guests in the romantic TOWER ROOM can rest their heads under a fine silk canopy. An extraordinary detail is the historic castle tower which has been exposed and masterly integrated into the interior. Warm cream tones and dark wenge wood complement each other in perfect harmony. Enjoy your stylish and romantic stay in our spacious, light-flooded TOWER SUITE. The furnishings in dark wenge wood complement each other in stylish harmony with warm cream tones. From the unique roof terrace you enjoy a breathtaking view over the vineyards and the Rhine valley.